Behold, the yellow peach. The juicy, not-too-sweet, not-too-tart pit fruit that you can play tennis with when it’s not ripe and get a half gallon of juice down your chin when it is ripe. If you’re not fortunate enough to be in peach season at the moment, get my recipe for warm cinnamon cassava pancakes HERE. Peach season is here, and, before it goes away, you need to make this peach cobbler breakfast pancake. Inspired by Dr. Gundry’s Blueberry Pancake Recipe, this is a wonderful addition to weekend breakfast or brunch (it takes 30 minutes to bake, so it’s not a quick weekday breakfast). It’s Plant Paradox friendly, and compatible with Paleo, Whole30, Autoimmune protocol, Gluten-free, and Ketogenic diets. 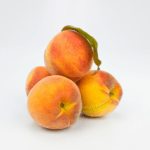 Make sure you use ripe peaches–you can test for ripeness without bruising peaches by wrapping your whole hand around the peach and gently squeezing–if it has some give, it’s good to eat! If it feels like a tennis ball, put it aside! There are a couple unusual ingredients you may not have used before. The ingredient that gives this cobbler pancake a unique flavor is the goat’s milk kefir–you will be able to taste it in the final product! I personally love the slightly sour taste of kefir, but if you don’t like it or you’re not able to find it, you can easily substitute coconut milk yogurt. I am able to find Redwoods Goat’s Milk kefir at my local grocery store in the yogurt section. Get up to 50% off specialty flours. PREHEAT the oven to 350 degrees F. Oil an 8-inch pie pan with coconut oil. BEAT together the eggs, vanilla, stevia, and kefir. Slowly add the coconut oil, whisking constantly, so the oil doesn’t solidify. ADD the coconut flour, tapioca flour, cassava flour, sea salt, baking powder, and baking soda. Whisk together until batter is smooth. POUR the batter into the pie pan. Place half of the peach slices on top of the batter in a single layer. Sprinkle with cinnamon. BAKE for 30 minutes, testing with a toothpick until it comes out clean. Let the pancake cool to room temperature before slicing. 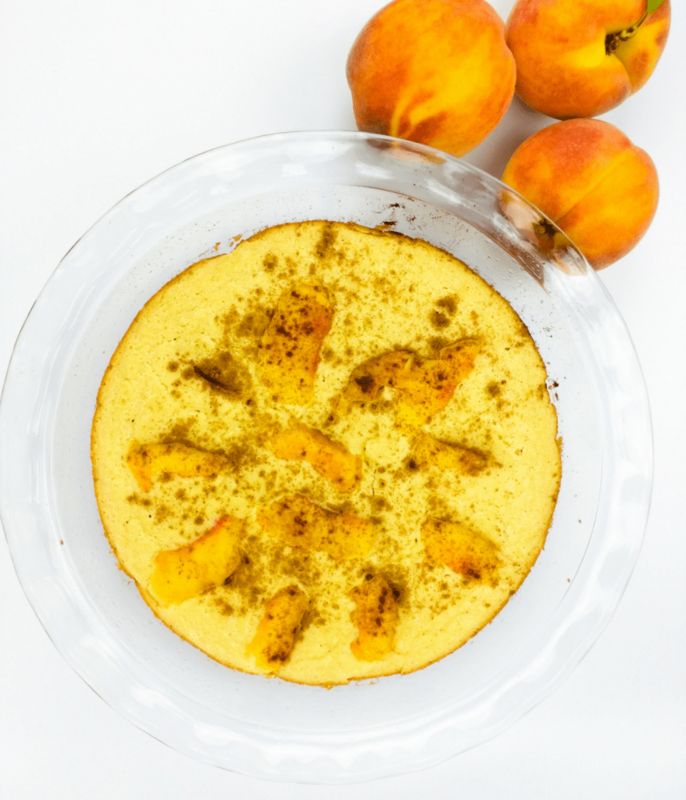 Serve topped with remaining peach slices. 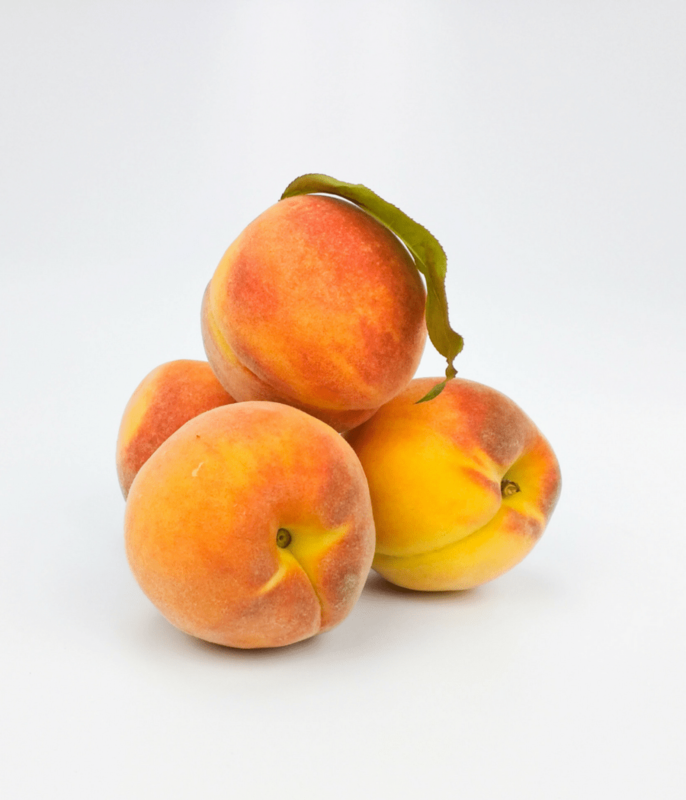 A grain-free, casein-free delicious peach cobbler pancake with juicy, ripe yellow peaches. A perfect addition to your Plant Paradox Sunday brunch. BEAT together the eggs, vanilla, stevia, and kefir. Slowly add the coconut oil, whisking constantly so the oil doesn’t solidify. This looks amaaaaaaazing! If I’m all about the lectin, can I substitute all of the flours for 3/4 cup of the real stuff? Thank you for great recipes with out lectins! !!!!! My pleasure! I mean, really, it IS my pleasure because I get to eat all of them ?